Obviously very real Arrested Development reunion now trying to convince us of existence of "John Slattery"
Capitalizing on the unimpeachable proof that there will be another season of Arrested Development, as recently established by multiple grainy set photos and some very specifically threatening voicemails we've received, the producers of Arrested Development have moved on to another, subtler form of subterfuge: attempting to convince the world that "John Slattery" is real. According to TV Line, the elaborate construct of wires, fox pelts, and pocket squares who is meant to be a genuine person outside of Mad Men will appear across multiple chapters of the show's 10-episode run, moving and speaking non-Mad Men dialogue just like humans possessing free will do. We've been informed that we should find all of this exciting and plausible, so yay! 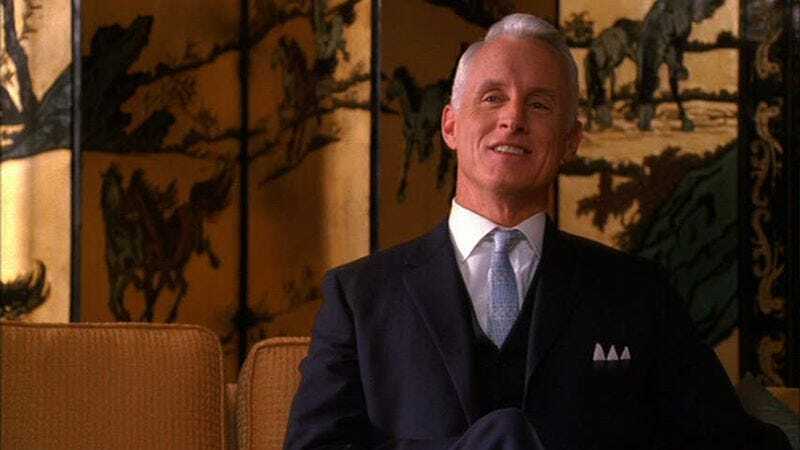 "John Slattery" is going to be on Arrested Development!